Raspberry curd is a new discovery of mine. It's pleasing for a number of reasons: it's delicious, easy to make, eye-catchingly pretty, and the perfect filling for cakes which are just that little bit more special. It's also pretty good when made with out-of-season raspberries which - while it pains me to endorse this - can often be found at seriously reduced prices in the supermarket near closing time. If you're more in control of your life than me and do your shopping at a sociable hour, I still implore you to give this little recipe a go. As with any curd, this is great with yoghurt, scones or frankly eaten with a spoon. It's also the perfect way to jazz up a Victoria Sponge or Almond Cake. You can of course add blackberries, currants and other soft fruits if you're sitting on a glut this summer. Begin by sterilising a jam jar - the easiest way to do this is by putting it through the dishwasher. 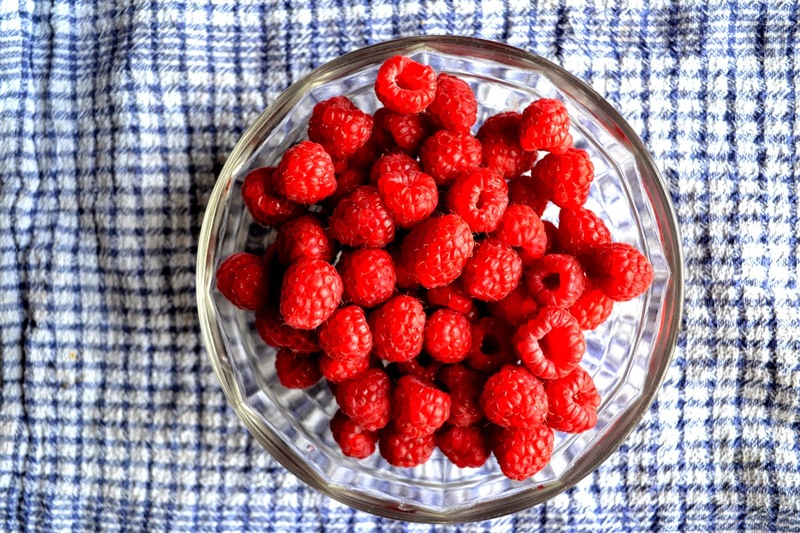 Next, add your raspberries, sugar and lemon juice to a saucepan, and gently bring to the boil. Reduce the heat to a simmer, and allow to cook for five minutes, gently crushing the berries with a folk as you go. Remove from the heat and set aside for 10 minutes. Once the mixture has cooled slightly, push it through a sieve. Be firm with it, and keep going until you have only seeds remaining in the sieve. Wipe your pan clean, then add in the raspberry purée. Before returning to the heat, beat in the egg yolks and cornflour, then simmer over a gentle heat, stirring constantly. Cook for 1-2 minutes, until you start to feel the mixture thicken and it coats the back of a spoon. Remove from the heat and continue to beat, adding the butter and beating through. Decant to the prepared jar, and allow to cool completely before using. Your raspberry curd will keep in the fridge for around a month.